Learn about how to ensure a safe and risk-free workplace with this free online course. The course begins by introducing you the different ways you can measure airborne contamination. 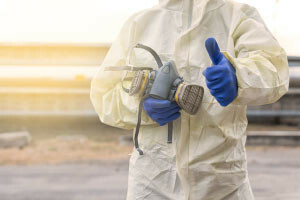 You will then learn about the primary sampling techniques and equipment that is used to formulate a quantitative estimate of the exposure employees have had with substances that are considered hazardous to human health. You will learn about the general features of a Local Exhaust Ventilation (LEV) system and the different types of inlets. You will also learn about why the origin/source of contamination may need to be considered during the design and construction of captor inlets. Next the course explains hygiene standards and occupational exposure limits. You will learn about the different types of hygiene standards for chemical agents, physical agents, and biological exposure indices. You will also learn about the importance of implementing health surveillance within the work place and how biological monitoring is used to measure and assess chemical exposure. You will also learn how to prevent and control the release of airborne contaminants and the most effective control measures that can be used. In addition, you will learn about the fundamental features of ventilation systems and the health hazards posed by exposure to asbestos.